Below you can view all the homes for sale in the Brookshire subdivision located in Woodstock Georgia. Listings in Brookshire are updated daily from data we receive from the Atlanta multiple listing service. To learn more about any of these homes or to receive custom notifications when a new property is listed for sale in Brookshire, give us a call at 404-998-4112. Very Active Neighborhood ,Close To Everything! MLS#6541204. America Realty Center, Inc..
Great Community In The Best Location! MLS#6533764. Integrity Realty Group. 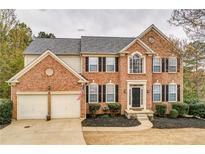 Hot Water Heater 1 Year, Full Basement, Fireplace, Bonus Room, Added Screened Porch 2014, Large Cedar Room In Basement, Safe Included, Custom Stairlift Can Be Removed. MLS#6531099. 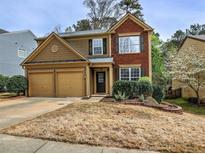 Susan Rich Realty, Llc..
Close To Shoppes Of Atlanta, Tons Of Great Restaurants And Downtown Woodstock ! ! MLS#6530557. Harry Norman Realtors. Outstanding Schools, Shopping, Dining And Recreation Within Walking Distance! MLS#6528499. 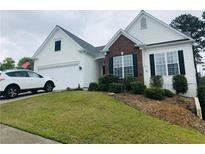 Peachtree Realty Group, Llc..
Two Car Garage, Full Day Light, Unfished Basement Waiting For Your Personal Touch, Plenty Of Storage. MLS#6520474. Keller Williams Realty Atl Perimeter. Subdivision Has Two Pools, Tennis Courts, Playground, Sports Field And Clubhouses. MLS#6519329. Keller Williams North Atlanta. Near Outlet Mall And Downtown Woodstock! MLS#6501571. Harry Norman Realtors.